Unfortunately they were 70 people short of the record, but that doesn't mean it was a wasted effort. The rally still went ahead and after several attempts, the cohort managed to get to 55 consecutive shots. However, the attempt wasn't just about sport and world records, as Student Support Manager John Joe Mulherin explained. "It was about fundraising as a community, in a fun and interesting way, for a really good cause," said John Joe. "The only reason people were there was to help, and they came from all over!" 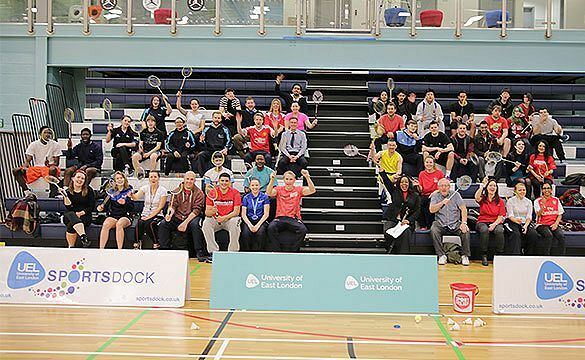 It was a great effort from SportsDock and those who attended. A world record may not have been broken, but we raised money for a worthy cause. The fund raising is still going on, so stop by SportsDock and donate at reception to do your bit for a great cause.